Singapore Plumber Provides Proven Quality Plumbing Services You Can Rely On! We are geared to your needs. Singapore Plumber's team of expert plumbers provide reliable solutions to your choked pipe, faulty toilet, heater problems and general plumbing services. Our proven record of 30 years gives you the assurance that you are using the best plumber service provider. We understand that finding a good plumber in an emergency can be real tough. Don't let the frustration get to you. Put my mobile number into your handphone now.. before your plumbing needs arises. Click hereto add this page to your favorite in your internet explorer right now. At least you have a good plumber guy to call when you do need one. I understand your difficulty and frustration that you may have before with so many plumbers who just don't give a hoot about you. They come and go quickly with half done plumbing services that leaves you worse off in just days. You have my guarantee that Singapore Plumber Proven FIX-IT_RIGHT System will take care of you to your satisfaction. With Dave's Singapore Plumber Service, you are in the best of hands when it comes to plumbing jobs. 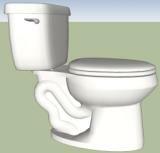 With us, you get quality plumbing services at the highest level with personal dedication you seldom find. We value you and your satisfaction is our utmost concern. Call me today for all your plumbing needs! With us, you are assured! For dependable, reliable and quality plumbing services, Singapore Plumber is the one company / plumbing contractor to call. Period! ...Trusted! I have been SO impressed with Singapore Plumber that I wanted to send you a quick note about how pleased I am with it. It's rare that you find a plumbing service with as much effort and dedication as you put into Singapore Plumber. Do yourself a favor and get this Dave plumbing service now. You'll be glad you did! While I was comparing plumbing services online, I discovered Singapore Plumber - quite by accident. After a few calls, I could tell that Dave really knew what he was talking about and were genuinely interested in helping me. 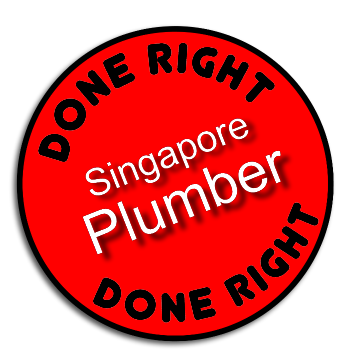 That kind of service is hard to come by these days - which is why I put Singapore Plumber at the top of my list! I had looked around for several plumbing services that would show me how to do what Singapore Plumber ultimately did. Singapore Plumber was by far the best plumbing services company I've found because of their dedication, quick response and professionalism. To this day I continue to enjoy the many benefits of using this plumber services and recommend it completely. 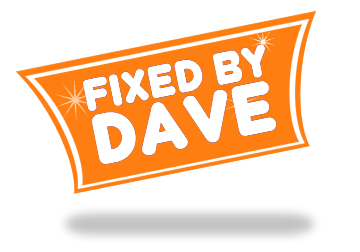 Call Dave's Singapore Plumber Today and let go of your frustrations. You can find relief in a quality plumbing service provider who is just like your friendly and helpful next-door neigbour. You owe to yourself to feel hassle-free today! Take down this number 9853 4833. Put it into your mobile. You will never know when you will need it most! At least you have peace of mind that someone who cares about you will be there for you in times of need and you never can tell when it comes to plumbing problems. So go ahead.. keep me closeby.. in your cellphone. Do it now!